A small group of women and I just got together last week for the first time to talk and share creative ideas. I suggested the theme "Open" prior to our gathering. This month's theme is "A place to sit". 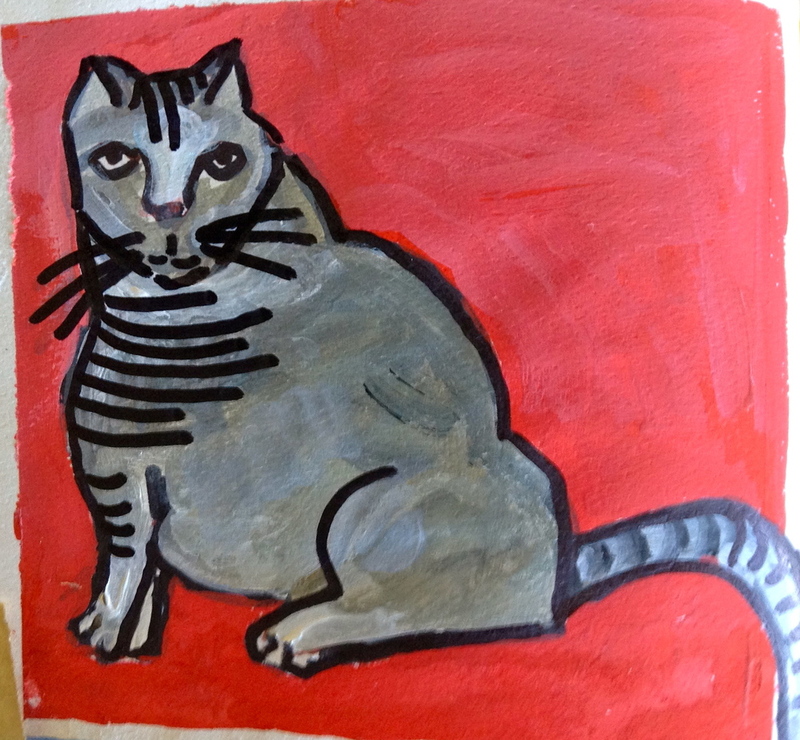 I had to force myself to sit down, in order to do this little gouache painting of Romeo this morning. I wasn't even connecting the theme at the time. It was all just a happy coincidence that the colors and composition of Romeo on the chair were beckoning to me to photograph them. It's that time of year when my head is spinning with all sorts of things i want to make and do for people. I love christmas, but it is easy because I am so blessed. So many people are struggling in the world. In racing around, it was nice to take 50 minutes to sit and be creative. I felt refreshed. I hope, like Romeo and me, that everyone can find a quiet moment and a peaceful place to sit.